Earlier this month, Mehrangarh Museum’s landmark exhibition “Peacock in the Desert : Royal Arts of Jodhpur” opened at the Museum of Fine Arts, Houston (MFAH). This exhibition celebrates the history & grandeur of the Jodhpur-Marwar region at one of the biggest museums of America. What a proud moment for India! There are about 250 objects that have traveled outside the walls of the Mehrangarh fort for the first time, and here’s a look into some of the highlights ! In the mid-1400s, the Rajput King, Rao Jodha established the city of Jodhpur. For centuries, his Rathore dynasty ruled over the region. The prosperity of the Kingdom did not go unnoticed by the other empires that eventually ruled India : the Mughals and the British. These encounters between the Rathores, Mughals and British, reshaped Jodhpur’s cultural landscape, introducing new trends in art, architecture and even administration! This also forms the core narrative of the exhibition which explores these interconnected relationships. One of the themes of the exhibition sheds light on the continued patronage of art and tradition in the wake of growing modernity influenced by the West. The narrative also attempts (perhaps for the first time) to shed the stereotypical image of Rajasthan’s royal women. You’d be surprised to know of the crucial role women had as agents of cultural change and the part they played in shaping the identity of Indian courts. Bringing alive the landscape of Jodhpur, this exhibition offers an immersive experience to American public – without the jet lag! The dramatic opening of the exhibition is proof of how digital media can enhance visitor experience. You find yourself attending a royal wedding procession featuring decorated horses and elephants with howdahs (seats). What brings it alive is an actual footage of a 20th century wedding, projected in the backdrop. The wedding celebration is a clever start : with visitors already engaged, it proceeds to establish context. Set on a busy camel trade-route linking Gujarat with Delhi, the city of Jodhpur was sustained by trade in opium, dates, coffee, silk and copper, and it soon became the capital of the Marwar region, which was conquered by the dynasty through a series of marital alliances. 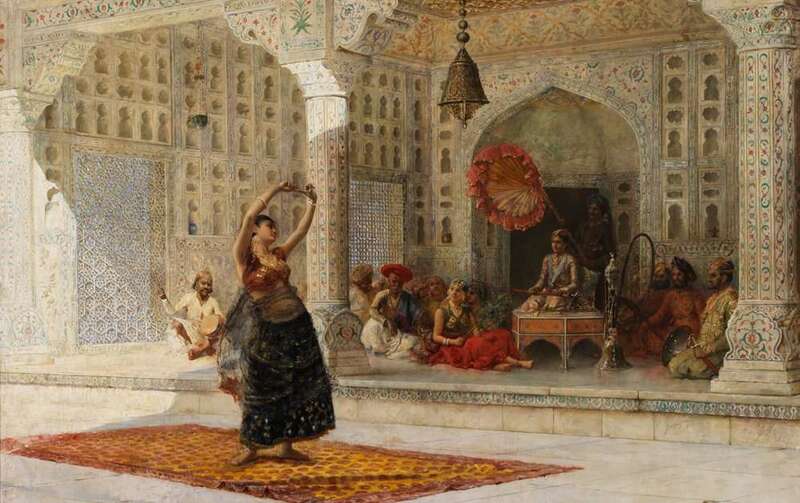 This gallery familiarises you with the landscape of the region, its people and their diversity, manifested in the variety of paintings and turbans installed on the wall. The superstar of the Mehrangarh Museum, a huge wood and glass palanquin is the show-stopper of this section. The Mahadol (palanquin) in the center. At the back, turbans and paintings describing the region. Maharaja Abhay Singh brought this intricately carved Palanquin as war booty, after defeating the Governor of Gujarat Sarbuland Khan. It stands in the gallery, just as regal and as a testament to the skilled craftsmanship that flourished in Gujarat. Maharaja Abhai Singh on Horseback, Jodhpur, c. 1725 | Photo: Mehrangarh Museum Trust. Neil Greentree, photographer. This 4-meter high tent (as high as a double decker bus) is the pride of the Mehrangarh Museum. It is the only intact (and oldest) Indian court tent in the world, and is rarely ever folded out and displayed. Also on view are exquisite arms and armoury of Mehrangarh Museum in this section and paintings of battles and courts ! Zenana, or the women’s wing of the Rathore palace is one of the most interesting sections of the exhibition. Did you know, that Maharani Toowar ji, a queen of Maharaja Man Singh (r. 1803-43) who regularly gave grain to pigeons and sweetmeats to ants, spent almost forty three rupees, a considerable amount in a year on food for ants ? Feeding animals was considered not only meritorious but was also believed to have astrological benefits. Since Maharaja Man Singh was influenced by the Nath community, the Queen also commissioned a painting of Nath ascetic Jallandharnath by the Chitara (artist) ‘Dana’. The artist was given Rs 5 as a token of appreciation. The Zenana section explores the role of women in preserving and encouraging the intangible cultural traditions. When women married into Jodhpur royalty, they came with an entire entourage of personal staff to live with them in Jodhpur. Over time, the Zenana transformed into a hub of culture . The highlight of this gallery is the wooden pavilion (baradari). Such pavilions (used to be curtained for privacy) were used as the meeting venue by the queens of the royal family. 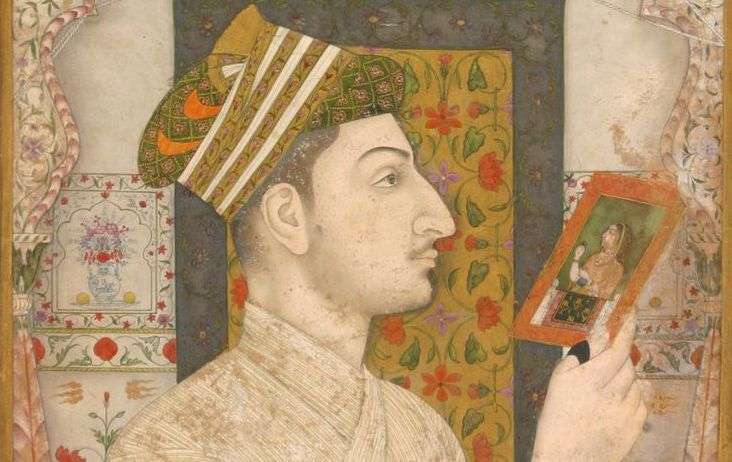 During the decline of the Mughal Empire in the early 18th century, Jodhpur faced almost half a century of civil wars, but the upside was that a lot of artists from the Mughal courts were flocking to the city. 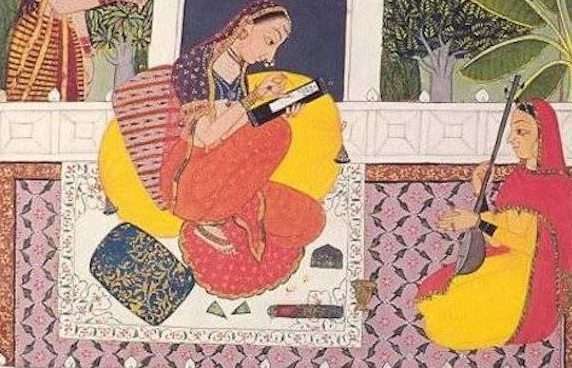 As a result, new schools of painting emerged combining Mughal naturalism with local folk style and bold colours. Here’s an example of a brilliant painting by one such artist, Dalchand, who moved from Delhi to Jodhpur. This was also a time when there was a growing trend of exchanging artworks as gifts. This spectacular painting ( a personal favourite) of Maharao Umed Singh of Kota out on a hunt is said to have been a gift to the Jodhpur court. Can you count the number of hunters in the painting? The mastery of the artist Sheikh Taju is evident from how he camouflages the hunters amidst the bushes and trees! Exhausted by the years of conflict, the state of Marwar and its capital formed an alliance with the British Empire in 1818. With the British, came political stability and the merchant class (the Marwaris), who eventually dominated trade in India up until independence in 1947, happily reversing the city’s former poor economic status. The last section of the exhibition showcases a 1927 Rolls Royce Phantom car and a huge 1944 WWII airplane, indicating the Western influence on the Rathore rulers, and their willingness to adapt. Maharaja Umaid Singh built one of the first airports in the country and his continued efforts made Jodhpur, Rajasthan’s most modern city. A fascinating story of Jodhpur, ‘Peacock in the Desert’ illustrates that Kingdoms and Empires may rise and fall; but with a powerful vision and patronage, art and traditions will continue to live and inspire generations. Shiva on his Vimana (Aircraft) with Himalaya.